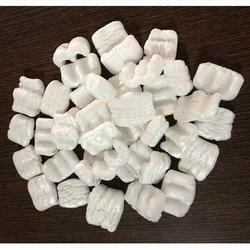 Packing peanuts, popularly known as packaging cashew, gap fillers, void filling material, being light weight, are most economical option for filling gaps in any packing box thereby minimizing shipping cost. Its interlocking structure helps in keeping the product intact in its place, thus resisting shock impact & avoiding any breakage to the product. Gelid Packaging Peanuts are most suitable for packing delicate items viz. Glass, Crockery, Porcelain, Electronics, Spare Parts, Statues & Sculptures, Delicate Handicraft items, etc. These Gap Fills stabilizes movement of the product & prevents it from sliding or settling down inside the box.Popular choice for fragile packing. Looking for Polystyrene Gap Fill ?